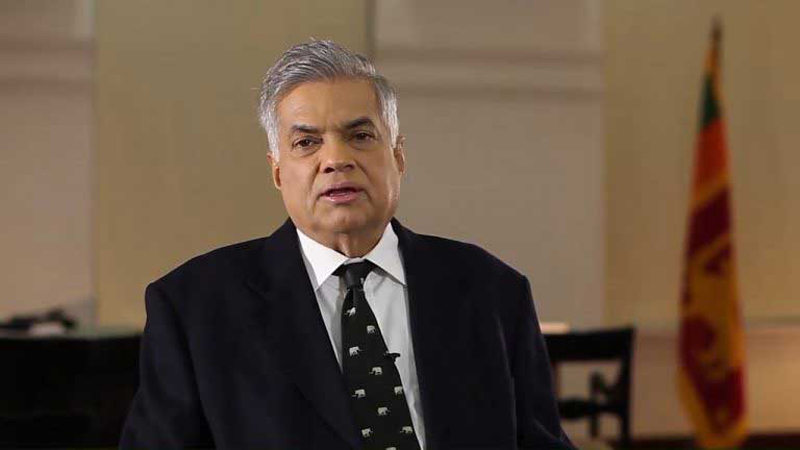 Prime Minister Ranil Wickremesinghe yesterday said that the government is committed to a political solution that would pave the way for people of all communities to live in harmony, no matter what the bankrupt politicians say. He said the Government will rebuild the economy which was devastated by the previous regime while promoting reconciliation and democracy. He said that Government is striving to reconcile Sinhala and Tamil people in the South and North. The Prime Minister was speaking at a ceremony to hand over certificates to women whose loans were written off due to the drought situation. The ceremony was held at the Weerasingham Hall yesterday. The government decided to write off non-consumption loans up to Rs.100,000 given to women by all registered microfinance companies in a number of districts which were badly affected by the drought. Prime Minister Wickremesinge also participated in a progress review meeting at the Jaffna District Secretariat which focused on housing, resettlement and development issues in the Northern Province. The Prime Minister also went on an inspection tour of the Palaly airport and KKS harbour. He added that harvests for a number of seasons were destroyed due to prolonged drought in many districts of the country. “The women of these districts find it difficult in repaying loans obtained from micro finance companies,” he said. The Prime Minister added that they thought that loans provided by the micro finance companies is the best solution to solving their financial woes. “The economy of these families are dependent on farming and their economy collapsed due to prolonged drought,” the Prime Minister said. Prime Minister Wickremesinghe added that Finance and Media Minister Mangala Samaraweera submitted a proposal to write off non-consumption loans up to Rs.100,000 given to women by all micro finance companies.